This is a cute house with a big back yard in a quiet neighborhood. It does need a little TLC but the house is nice and clean and very livable while you do a few small projects. This home will be sold As-Is, but with a little investment, you will have a lot of value. 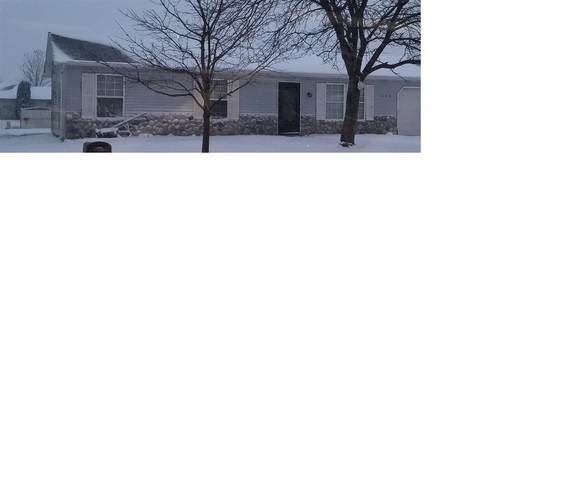 It is a 3 BR, 1 BA home ready for you to call it home. Directions:From intersection of CR 40A (Wesley Rd.) and Portage Pass, take Portage Pass to Quail Run, turn right, property on right hand side.